Downtown Delray Beach has grown into a vibrant, intimate town with big city sophistication over the last 25 years. The cheap trainers uk city offers a dynamic arrangement of dining and entertainment and has, undoubtedly, the incomparable beauty of nearly tow miles of award-winning beaches. 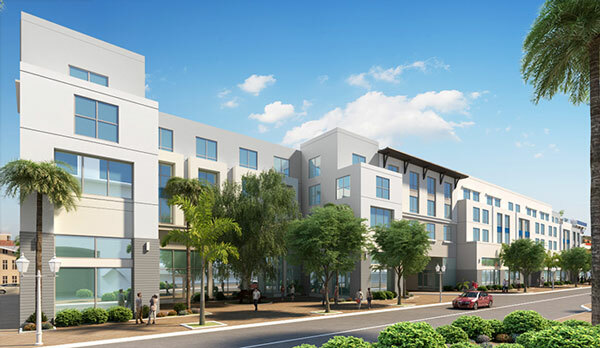 The Kolter Group is opening a lavish Courtyard by Marriott, located on SE 6th Avenue and SE 2nd Street near Atlantic Avenue in Downtown Delray. The 150,000 square foot Courtyard by Marriot located in SE 6th Avenue and SE 2nd Street near Atlantic Avenue will feature an inspiring 1.2 acres, with four stories, 150 hotel rooms, and a 116-space parking garage. Amenities include private event space on it scenic rooftop and a luxury pool. The new iPic Theaters will be located at South East 4th Avenue and South East 5th Avenue. A 326-space parking complex, Class A office space, and new retail shops will be built at this complex. The anticipated opening will be in March of 2019. 111 First Delray Condominiums will offer luxurious apartments for sale right in Downtown Delray Beach with a perfect setting for an urban seaside living. This luxurious complex boasts 70 contemporary residences with outstanding composed interiors featuring porcelain floors, sleek modern kitchens with Bosch stainless appliances, Quartz counters, impact-resistant glass, generous outdoor spaces, and more. It is planned that the construction of 236 Fifth Delray and the Aloft boutique hotel will be finished in December of 2018; the Aloft boutique will provide luxury apartments and lodging, giving local residents the feeling to ´live on vacation´. The noble property includes a rooftop infinity pool, and exclusive amenities with hotel services such as full-time maintenance, room service, and housekeeping. Any one, two, and three-bedroom condominium residences start at $499,000. The first rooms in the Aloft Hotel can be reserved in early 2019. Contact Engel & Völkers at Atlantic Avenue in Delray Beach to fulfill your unique personal real estate needs.